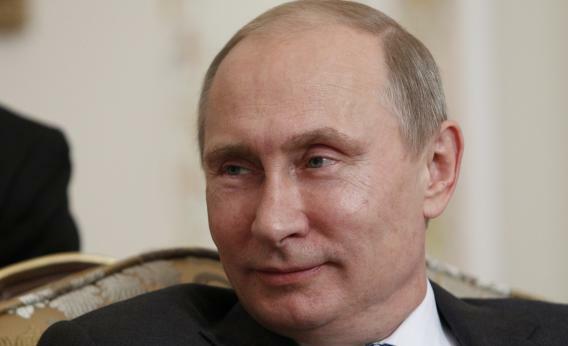 Russia’s role in Syria: Putin’s New York Times op-ed is all hypocrisy and lies. The Russian president’s lecture about peace in Syria is all hypocrisy and lies. How cute. A lecture on nonviolence from Syria’s chief arms supplier. Let’s check Putin’s pieties against the facts. Really? Here’s a brief review of what Russia has done for Syrian dictator Bashar al-Assad. According to the Stockholm International Peace Research Institute, “During 2008–12 Russia supplied 71 per cent of Syria’s imports of major weapons.” Human Rights First reports, “In January, 2012, Russia signed a $550 million contract to provide the Assad regime with attack jets capable of hitting civilian targets on the ground.” Then Russia tried “to send four repaired Mi-25 attack helicopters to Syria in June 2012.” Around that time, Human Rights Watch sent Syria’s Russian arms supplier a list of human rights abuses perpetrated by Assad using Russian weapons. HRW urged Russia to stop sending missiles, fighter jets, and ammunition to Syria, but nothing changed. The Center for Analysis of Strategies and Technologies, a Russian think tank, reports that last year, Russia and its contractors supplied Assad’s surface-to-air missile systems, repaired “at least four Syrian Mi-25 helicopters,” and apparently upgraded Syrian tanks. In July, the United Nations’ Independent International Commission of Inquiry for Syria reported a “shipment by the Russian Federation of S-300 missile batteries” to Assad. This week, the commission added that “pre-conflict arms deals between Moscow and Damascus continue to be honored.” Human Rights First notes that “Russian officials have said they will not halt arms sales to the Assad regime so long as such sales are not prohibited by the U.N. Security Council.” In a delightful Catch-22, HRF points out that Russia itself has blocked such attempts at prohibition within the council. That’s the reality of Russia’s conduct. In Moscow, a state-controlled TV network suggested last night that for brokering peace in Syria, Putin deserves a Nobel Peace Prize. I’d nominate him for a different prize: an Oscar.